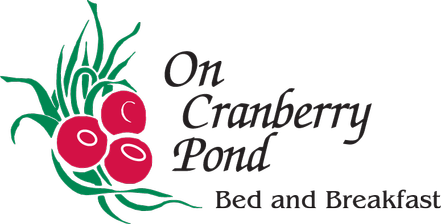 There is so much to do all within minutes of On Cranberry Pond. You will find excitement in Boston, with its wonderful shopping, museums and sporting events. Christmastime in Boston is like traveling back to the Victorian era. Boston's version of "The Nutcracker" is a tradition you must experience. The train which is only a few minutes from the bed and breakfast will take you directly into Boston, another added convenience. Rhode Island is a mere 40 minute drive and offers some of the best sightseeing around. Between the mansions of Newport, and the ultra chic Providence Place Shopping Center, you could find yourself immersed in one of the most unique day trips you'll ever have. Cape Cod is right around the corner, and it too offers spectacular sights. From the mainland you'll enjoy quaint towns such as Falmouth and the very "tip" of the Cape, Provincetown. We also highly recommend to our guest the magical islands, Martha's Vineyard and Nantucket. Last but certainly not least is nearby historic Plymouth. Whale watching, sailing, and jet skiing (rentals available) are just some of the many things this picturesque town offers. There are many shops that line "Olde Main Street" that specialize in one of a kind items and plenty of antiques. Plimoth Plantation is a wonderful "living" museum that is a must see, as well as Plymouth Rock and a replica of the Mayflower that you can explore.